Simply the best for all ability levels with refreshment huts and unlimited trails. Levi has 230kms of prepared trails. 28kms of these are floodlit. There are even dedicated loops where you can ski with your dog, plus 18kms of marked winter walking trails. The 18km circle around Levi fell is easy even for novices, with possible breaks at two different reindeer farms, and can be extended a further 15km along the Ounas river to Köngäs, returning via Luvattumaa with its café and Ice Gallery. More challenging routes circle Kätkä and Pyhä fells with overnight stays possible in wilderness huts like Aakenuspirtti in the midst of a silent snowy wilderness. Several lean-to shelters, kota resting spots and cafés punctuate the routes. The whole area is a cross-country skier’s idyll and particularly well-suited to those trying the sport for the first time. Tracks are meticulously prepared and well signposted and there is always somewhere to take a break and enjoy a hot drink and snack around an open fire. You can make your routes as challenging or as easy as you choose, without any high level of fitness necessary. Cross-country skiing is an excellent low impact sport, especially if your alpine skiing legs have had their day, and is a wonderful stress-free and healthy way to get out into unspoiled nature. As the season starts and the polar nights approach, skiing takes place on the floodlit slopes. The whole ski area opens in mid February (approx. 17th) when the daylight hours start to increase and incredible skiing can be enjoyed throughout the day. 15 of 43 are floodlit (December to mid-February). 230km of trails (28km floodlit). Snowmobiling, over 800km marked trails. This popular hotel represents excellent value and is known locally for its great friendly service and tastefully decorated guest rooms. The property is in a quiet wooded location 400m from the ski lifts and village centre. These excellent quality log cabins enjoy a quiet scenic wooded location close to the village centre. All cabins are beautifully appointed with extensive use of round logs made from Nordic pine, modern appliances and a warm homely atmosphere. These excellent value, beautifully refurbished chalet-style apartments enjoy a convenient central location and offer a high standard of well-equipped accommodation. Guests can choose to self-cater or pre-book optional half board taken at Levi Hotel Spa (Levitunturi) 350m away. The well-equipped Levi Cottages have recently been refurbished to a high standard and are in a very convenient central location. The cottages are located just 150m from the main resort amenities and 450m walk from Levi's well stocked supermarket. These high quality self-catering cabins are very well equipped and tucked away in a convenient scenic wooded area just behind the K5 Hotel. They are ideal for families or small groups seeking a high standard of accommodation in a convenient yet peaceful location. These traditional syle log cabins offer particularly good value for money and have long been a favourite with returning Inghams guests. All cabins are well-equipped and are attractively furnished with an abundant use of local pine to create a warm, cosy, homely atmosphere. The K5 Hotel is an intimate and stylish small hotel set in a beautiful wooded location with its own reindeer corral. The property offers a high standard of attractively furnished accommodation with en suite saunas in every bedroom. The resort centre is an easy 250m stroll and the main ski lifts 500m away. Levi Hotel Spa (Levitunturi) is the resort's flagship property in a peaceful yet convenient location 300m from the ski lifts and village centre. A high standard of accommodation coupled with excellent spa and recreation facilities makes it a great choice for families and couples alike. 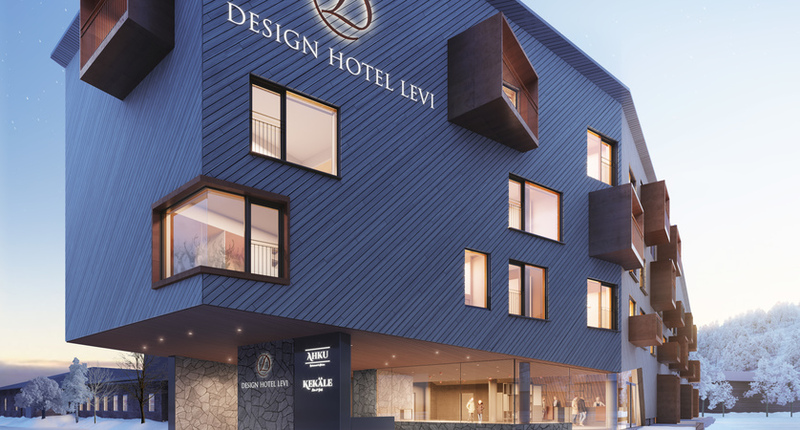 Treat you and your loved ones to an extra special stay in Levi at the boutique Design Hotel Levi- the Levi Spa Resort's brand new hotel offering. 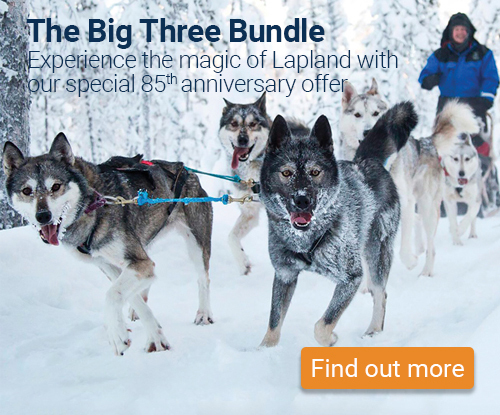 There are a number of excursions that are eagerly awaiting you and to make the most of your Lapland adventure. Click here to find out more detailed information about each excursion and what they involved, then see below for the duration and price list for Levi. Having the opportunity to stay in a Glass Igloo or Aurora Cabin for a night under the stars, with the Northern Lights in the sky, is high on most people’s bucket list. There are a number of options for you to take, so click here to have a read. From Levi you have the chance to stay in either a Glass Igloo, Aurora Cabin or the Lainio SnowHotel, and if you really cannot choose then go for all three. Notes for all above excursions: Please note that we act at all times as the selling agent for the supplier of these excursions and activities. Times and distances are approximate and may vary due to weather and other conditions. Snowmobile, Husky & Reindeer Safaris child age 4-12yrs. Children 0-3yrs are FREE (any transport must be paid for locally) but are not allowed on Super Reindeer, Super Husky or any Snowmobile safaris. Santapark and Santa's Elves Hideaway child age 4-16yrs (0-2yrs FREE). Snowmobile drivers must be 18yrs and bring a full, valid photographic driver's licence with them. Children must be 8yrs and over 140cm tall to ride as a passenger on a snowmobile safari. Children under 8yrs or shorter than 140cm will be towed in a sled behind a guide. On snowmobile safaris Inghams (and most other travel insurance policies) will provide cover for personal and medical expenses but not for damage to the snowmobile or third parties. The snowmobile safari provider includes insurance to cover these costs but a compulsory insurance excess of approximately 850 Euro will be payable direct to the snowmobile safari provider. Child age of 7-12yrs for the snowshoe safaris. The overnight stay can be pre-booked but the exact day of the week will only be confirmed within 3 working days of booking as all reservations are subject to availability. Transfer 20 minutes by coach. Guests with lift passes pay an optional €3 per day if they wish to use the resort bus to the ski lifts and around the village. Non-ski guests without a lift pass pay €4 per day. Children under 6 yrs travel free with an adult. These optional prices are approximate.